It has been fifty years since the formation of UK psychedelic rockers Sam Gopal, a quartet who took their name from their tabla player and percussionist. 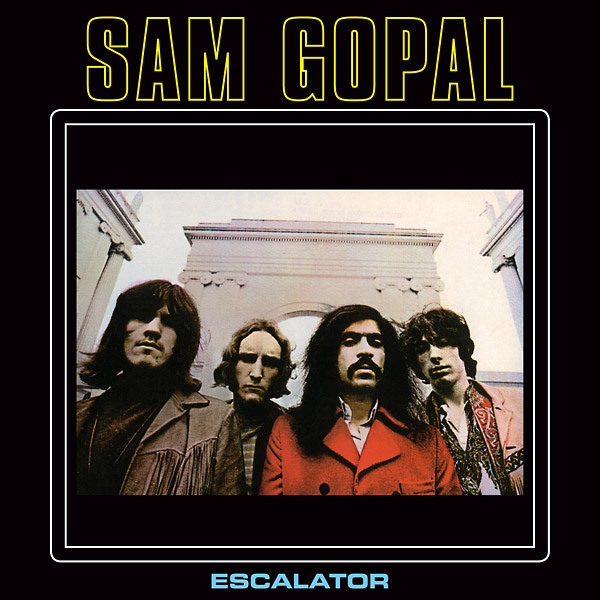 The band recorded a lone album “Escalator” recorded in October and November 1968, engineered by Barry Ainsworth and Andy Jones and produced by Trevor Walters at De-Lane Lea and Morgan Studios. It was released in March 1969 on the tiny British label, Stable Records. The album’s eleven tracks are joined by both sides of a promo single, and feature lead vocals as well as lead and rhythm guitar by a young, Ian Willis, who would go on to join British psychedelic legend’s Hawkwind in 1971, before becoming a founding member and front man, lead vocalist and bassist of heavy metal giants Motorhead under his birth name of Ian Kilmister, although being much better known by his nickname “Lemmy.” The band consisted of Gopal and Lemmy, jointed by Roger D’Ella on lead, acoustic and rhythm guitars and Phil Duke on bass guitar. “Escalator” consists of five tunes written by Lemmy, four credited to the band, and two cover tunes, “Angry Faces” pennedy by Leo Davidson, and a memorable rendering of the often covered Donovan Leitch classic “Season Of The Witch.” The band’s 45 pairs a Lemmy song “Horse” with an incredibly heavy cover of Willie Dixon’s blues staple “Backdoor Man” best known for its recording by Jim Morrison and The Doors. With its heavy groove of guitars, bass and tablas, Sam Gopal’s recording is even more raucous than that of The Doors and is unquestionably one of, if not the, best documents of the group’s recorded legacy. “Escalator” opens with the group composition “Cold Embrace” a hard rocker filled with fuzzed out guitars, a thundering bass line and gorgeously echoed vocals by Lemmy. In addition to its roaring lead line the track features a soaring guitar solo. 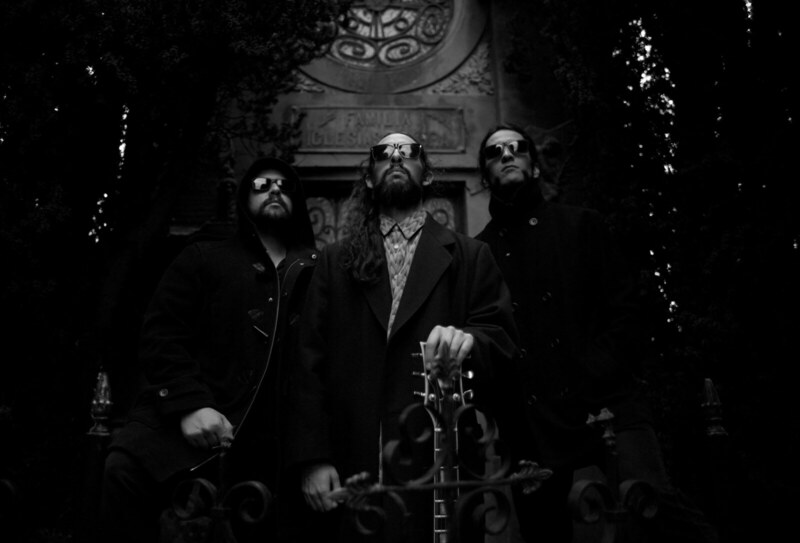 Another tune credited to the band, “The Dark Lord” is another heavy rocker, reminiscent of Black Sabbath, with fuzz guitar layered over a luscious lead line and tablas underneath and a monster guitar solo. Lemmy’s “The Sky Is Crying” is much gentler, with flamenco style acoustic guitar and gorgeous vocals. “You’re Alone Now” has a raga intro leading up to a climbing guitar solo and a false stop before returning to its Eastern influenced sound with gorgeous, crisp acoustic guitar to the fore. “Grass” is a gorgeous number, with incredibly clean sounding guitar, tablas and vocals, its rolling acoustic guitar solo giving it a lovely raga feel. Side one closes with “It’s Only Love” bringing The Yardbirds to mind, with its rather gentle psychedelic intro before the tempo changes about a minute in as the guitars heat up. Midway through the just short of five minute track it settles into a melodic groove of guitars, tablas and gorgeous vocals as the song and side come to an end. Side two opens with the hot rocking title track whose fuzz filled guitars and frenzied vocals are joined by Gopal’s familiar tablas. The tempo speeds up at the two minute mark building to a crescendo as a fuzz guitar solo pushes the song’s final minute. “Angel Faces” a cover penned by Leo Davidson opens with thunderstorm sound effects giving way to delicate flamenco guitar, its lovely, lead guitar line joined by relentless acoustic guitar adding to its infectious texture. Swirling fuzz guitars race throughout the band original “Midsummer Nights Dream” highlighted by yet another soaring mid-tune solo. The group’s four and a half minute cover of Donovan’s “Season Of The Witch” opens with a thundering bass intro, followed by an insistent guitar riff before Lemmy’s vocal enter, Gopal’s tabla work keeping time. Gorgeous female backing vocals and thundering drums set the song apart before tablas and smoking guitars play the tune out. 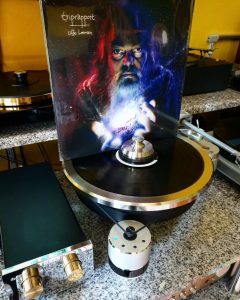 The album closes with the gentlest tune of Lemmy’s career, “Yesterlove” has a delicate acoustic guitar intro with tablas and chimes adding texture supplemented Lemmy’s heavily echoed vocals and horns added for good measure. The song, with its trippy vibe and even more Eastern influence is the perfect closer to the album. This Morgan Bluetown reissue comes in a standard jewel case. It comes with an 8 page full color booklet containing an essay by Clive Wills, band photos, album artwork and complete track and recording information. “Escalator” will be of interest to lovers of late 1960’s psychedelic rock as well as Lemmy fans, documenting an important part of his early recording career. “Escalator” is available on 180 gram vinyl or in CD format, both of which come most highly recommended. Good to discover more groups from rock's golden age.